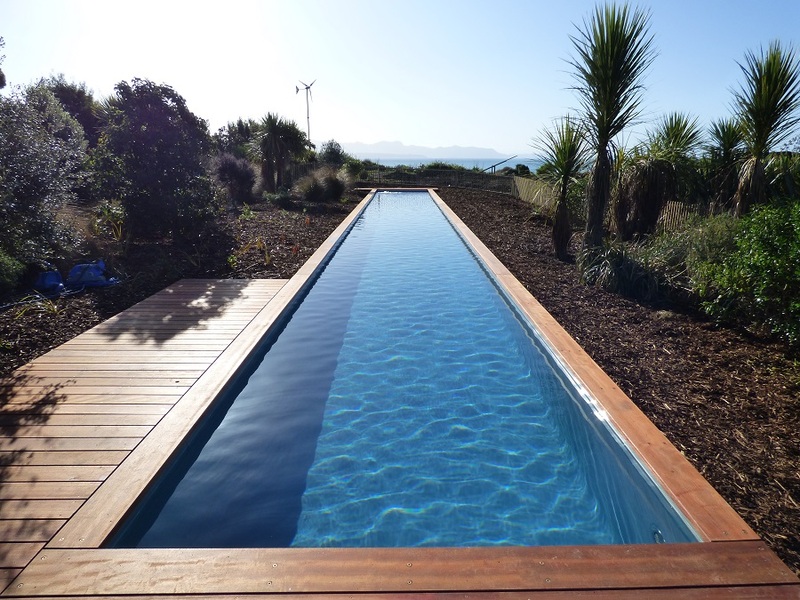 The owners of this seaside off-grid property wanted us to build them a lap pool mainly for exercising. 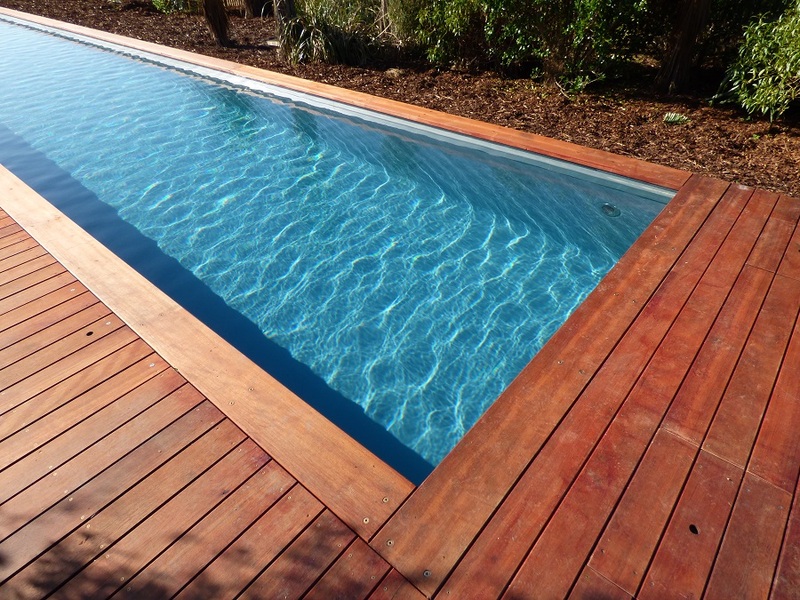 Our brief was to construct a 25 m long and 2.8 m wide lap pool amidst native wetland planting. High water table levels made it necessary to pump water out of the building site during the whole length of construction. So that the owners are able to exercise as long as possible during the shoulder season, we added an automated pool cover. In order to not put unnecessary pressure on the off-grid system, we added a high performance solar heating system. We used energy efficient pumps, which only use a combined 305 watts, to run the entire pool filtration. Of this a 65 watt filtration pump runs 24/7 whereas the 2 x skimmer pumps with 120 watts each are on a timer for only 3-4 hours in summer and 1-3 hours in winter.